#1 Authorized Online Seller of Baby Jogger's City Mini Stroller. City Mini Strollers is the # 1 Authorized Online Dealer of Baby Jogger City Mini Strollers. We offer City Mini Single Stroller in 6 Colors. We redesigned the City Mini for 2014 with new more vibrant colors. We also introduced the City Mini GT Stroller. 2014 CITY MINI SINGLE STROLLERS IN STOCK- 6 COLORS!! Combine function and style with a gorgeous new Baby Jogger stroller from City Mini. Make navigating sidewalks and steps easier than ever with a cozy and cute jogging stroller that's a cinch to fold. Browse our wide selection of Baby Strollers to suit your needs. Whether you need a single or double stroller, we have you covered! Give baby the best possible ride with all kinds of City Mini stroller accessories. A comfy baby is a happy baby, and no matter which lightweight stroller you choose from us, you and your baby will enjoy a snug, safe, and enjoyable walk- wherever you go! 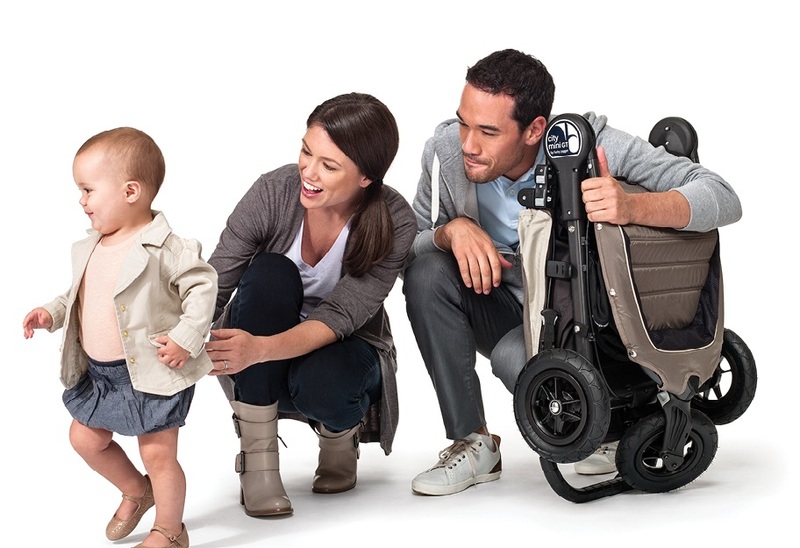 Impressive Features on Baby Strollers from Baby Jogger, Right Here on CityMiniStrollers.com! Every Baby Jogger City Mini Stroller comes with patented Quick-Fold technology, perfect for when you need to stow your carriage in a hurry, like in a subway or when packing the car. I's so easy--you can fold up your new jogging stroller with just one hand, giving you that much more freedom to pay attention to what matters- your precious cargo! With standard features like brakes, reclining seats, sun canopy with a peek-a-boo window, and weighing in at a sleek 16.8 pounds, you'll navigate sidewalks, aisles, and everywhere else with ease. If a single stroller isn't enough, we've got plenty of City Mini Double strollers, too! You'll love the 2014 City Mini Double Stroller by Baby Jogger with great new features and available in your choice of colors. We are the #1 Authorized Online Merchant for City Mini Baby Strollers! At CityMiniStrollers.com we care about your family's comfort and safety, and we're confident that you'll find the exact model to fit your needs from among our many choices of baby strollers. Since its founding in 2007, the Baby Jogger City Mini Stroller has been recognized by the Juvenile Products Manufacturers Association, National Parenting Publications, Mother & Baby Awards and many more for innovation, safety, quality, and value. Take advantage of our free shipping and pick a great baby stroller from City Mini Strollers today!